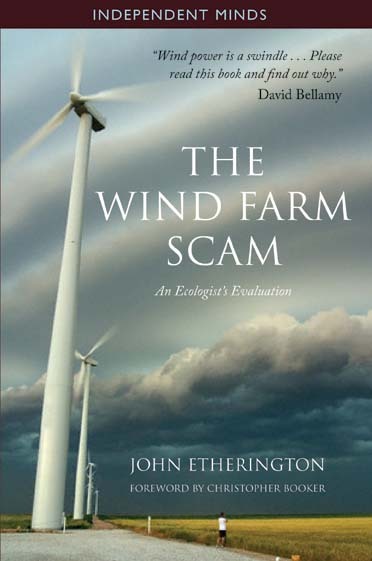 This book argues that the drawbacks of wind power far outweigh the advantages. Wind turbines cannot generate enough energy to reduce global CO2 levels to a meaningful degree; what's more, wind power cannot generate a steady output, necessitating back-up coal and gas power plants that significantly negate the saving of greenhouse gas emissions. In addition, there are ecological drawbacks, including damage to habitats, wildlife and the far from insignificant aesthetic considerations. Dr. Etherington argues that wind power is being excessively financed at the cost of consumers who have not been informed that their bills are subsiding an industry that cannot be cost efficient or, ultimately, favour the cause it purports to support. "The book should be required reading for every high school, college, and university student. It explains wind energy, and its limitations and environmental insults, in easily understood terms. It explains why wind will never provide a significant, reliable source of electricity." Glen Schleede - former US Presidential adviser on energy, and one of the leading worldwide analysts and commentators on wind power. Follow this link to see the author being interviewed on the BBC. John Etherington - John Etherington was a Reader in Ecology at the University of Wales, Cardiff. Since his retirement from the University in 1990, he has devoted himself to researching the implications of intermittently available renewable electricity generation, in particular wind power. He is a Thomas Huxley Medallist at the Royal College of Science and a former co-editor of the International Journal of Ecology.